Well, its that time of year again. It looks like I have another 5 bird counts on my agenda this year, and 2 more in January. This weekend was absolutely freezing, with temperatures not getting much higher than minus 29 degrees celsius and with the wind-chill it was almost minus 50. Still, even that didn't stop myself and a hardy ( or is that crazy ? )group of local birders who all took part on counts at the Qu'Appelle Dam/ Elbow region. The following day, another 4 of us braved the weather again for Gardiner Dam and the surrounding areas. The total number of species for the Elbow count was 34 and we found 32 for Gardiner which under those conditions, I think is pretty darn respectable ! 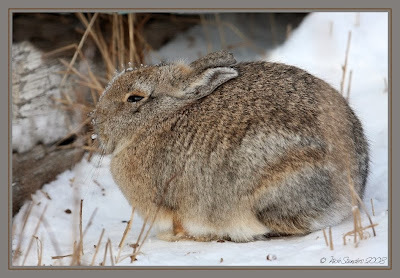 Here is a Nuttal's Cottontail Rabbit , taken at an abandoned farmstead near Elbow. What a great pose to have captured! 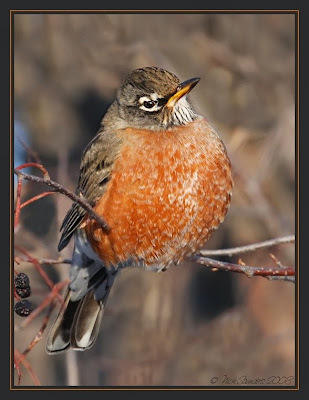 This robin has so many layers of beautiful colors. 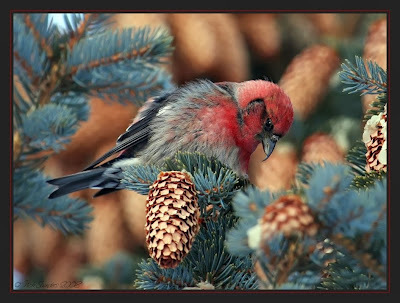 The white winged crossbill looks to be pondering which of the apparently thousands of cones to pick next to feed upon. Nice Capture. 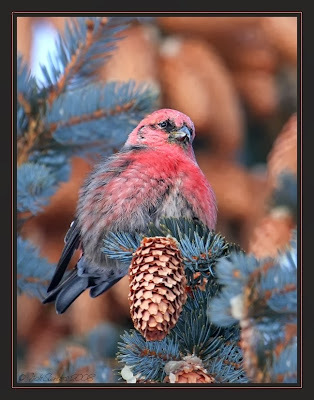 That white-winged crossbill is your best yet! 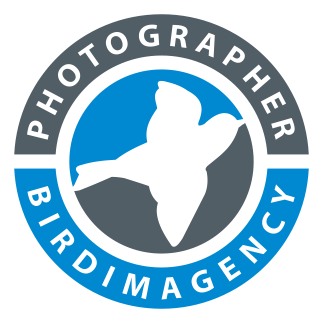 Very great photos, sharp birds and nice bokeh behind, well done! All great shots as usual, I really liked the robin photo and the rabbit also. Birds are finally starting to come to my feeder so hopefully I'll get pictures taken. I've been working a lot so I've taken a break from posting to my blog. Each Crossbill capture gets better and better, Nick! Well, Nick, I can't come close to picking a favorite! Beautiful! Marry Christmas.